The Talmud says in Aramaic, "Lefum saara agra"; according to the pain, (effort) is the reward. In English we say ; you get what you pay for. Or, if you want a great seminar, treat the instructor well. From the moment I landed at the airport in South Africa I felt I was in good hands. Annie, Jennie and Des greeted me at the airport, took me to Mugg and Bean, started me off with a great cup of coffee and things only got better. We trained for five days, all day everyday. From beginning to end everyone had a super great attitude. The training was hard but with smiles. 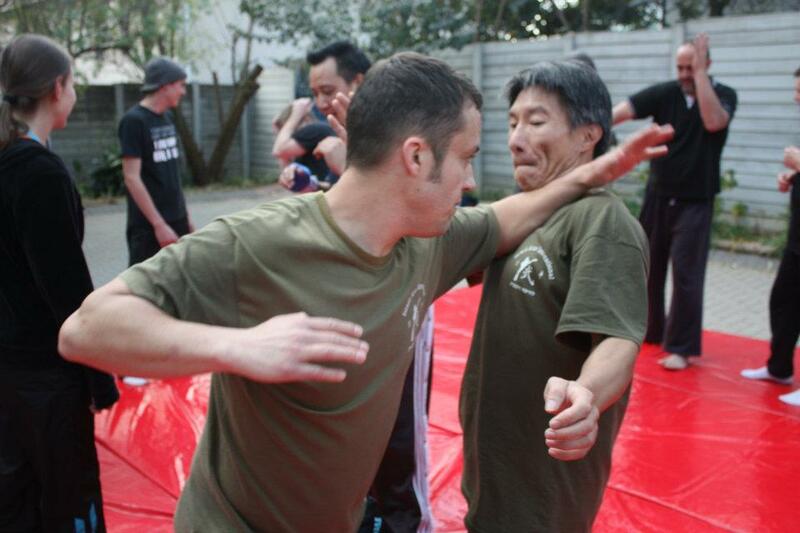 We covered knife defense, gun defense, ground defense, all sorts of street scenarios including car-jacking. Tyler Collins, who recently relocated back to the USA and will soon be teaching there, flew back to South Africa for the seminar, a 14 hour flight. Now that is what I call dedication! Everyone worked hard to make this a great success, from the flight arrangements, to wonderful accommodations, food and drinks everyday for all, coffee! advertising, helping me with the T shirt and DVD sales, (nearly sold out everything), it was an amazing team effort. Hats off to all for a job well done. And here is a little secret; treat the instructor well, make him feel welcome, and you will get more than 100%. 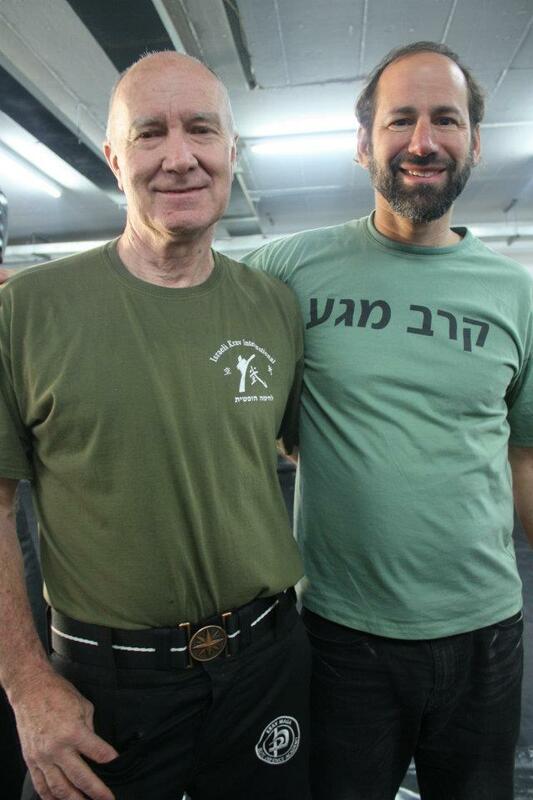 Moshe Katz with EDA Senior Instructor Des Brown. 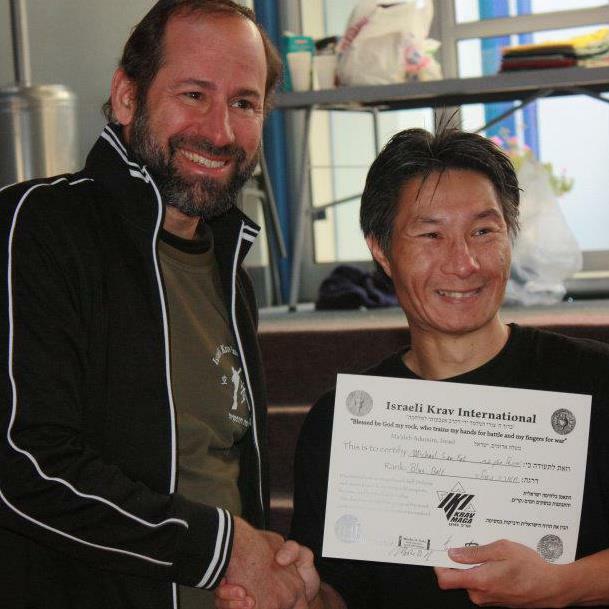 Des was promoted to IKI Associate instructor due to his vast knowledge of Krav Maga, his deep understanding of the concepts behind the techniques and his real life experience. 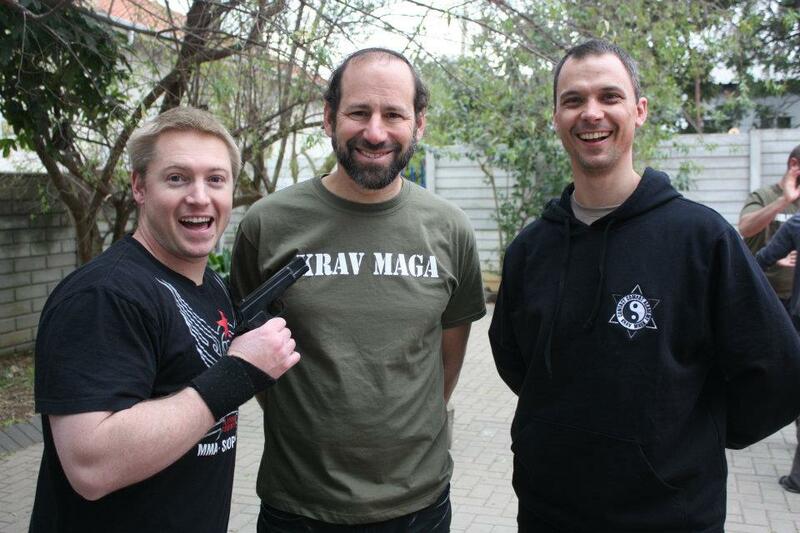 Alan Mann, promoted to Level Two IKI instructor; long time Krav Maga instructor and South African war hero. 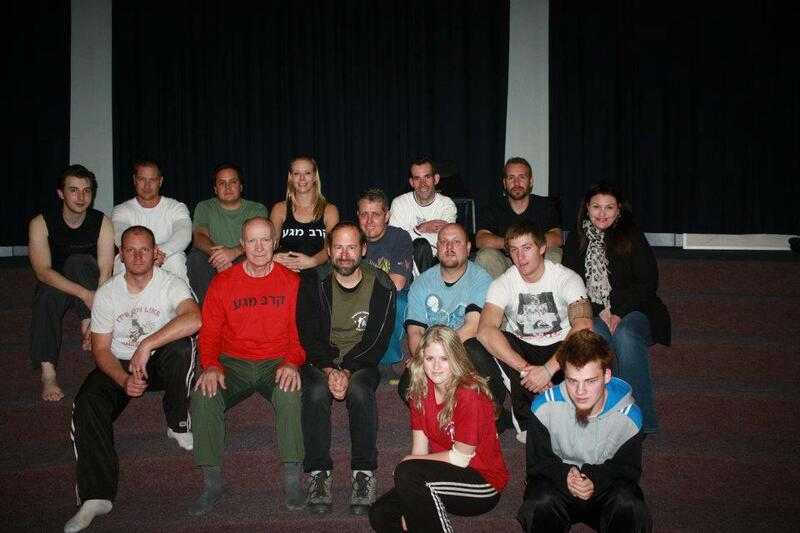 Alan wrote: "Day 1 of the second 5-day seminar hosted by Elite Defence Academy under the guidance of Moshe Katz. More successful than last years event - new techniques, massive enthusiasm & camaraderie. What a wonderful time & what a great turn-out of participants. 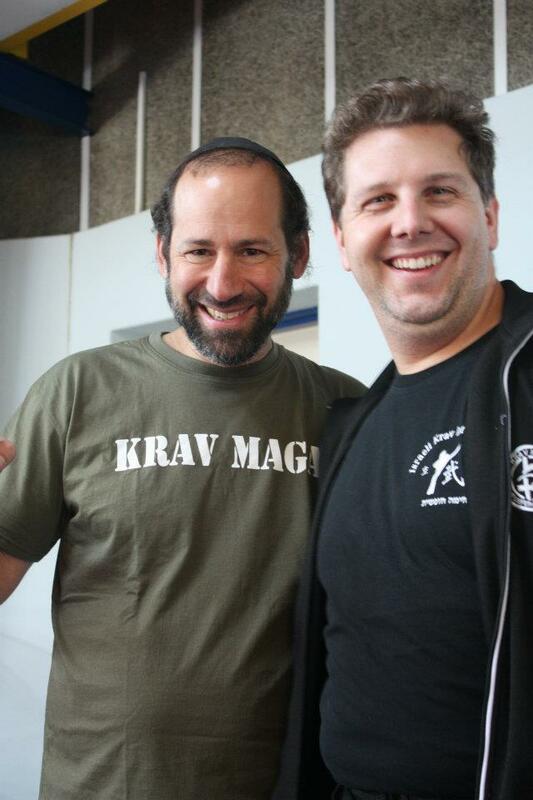 As I mentioned in an earlier post - these events will always be the greatest experience in learning Krav & self defence. Great 'thank you's' to the Executive team for organizing such a fantastic event - to the Marketing team for the posters & ad's - to the Sales team for getting the message out there - to the Dojos for the training venues - to the Instructor group for their great support during training - to the Support team for organizing all the refreshments etc - to all the participants. 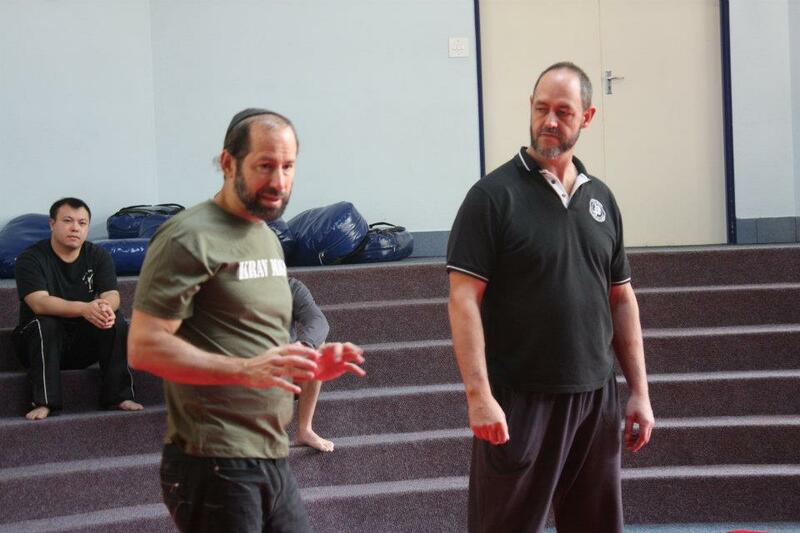 Lastly - but the MOST important - thank you to Moshe Katz for his massive contribution to the art and style of IKI Krav Maga, for his enthusiasm, dedication & professionalism in his purpose to serve all who train in this form of self defence. Please join or visit the Elite Defence Academy facebook page to view more photos & news on the event." 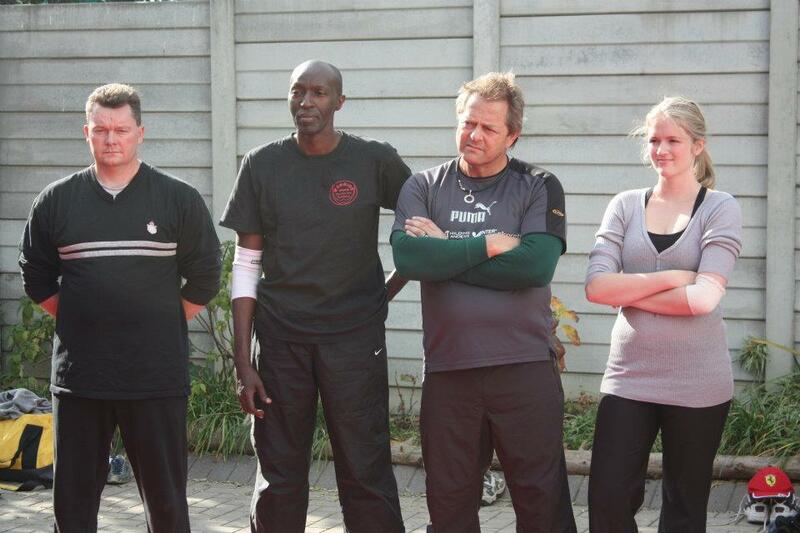 With Tony Hardy, our instructor in Durban, and Quinton. 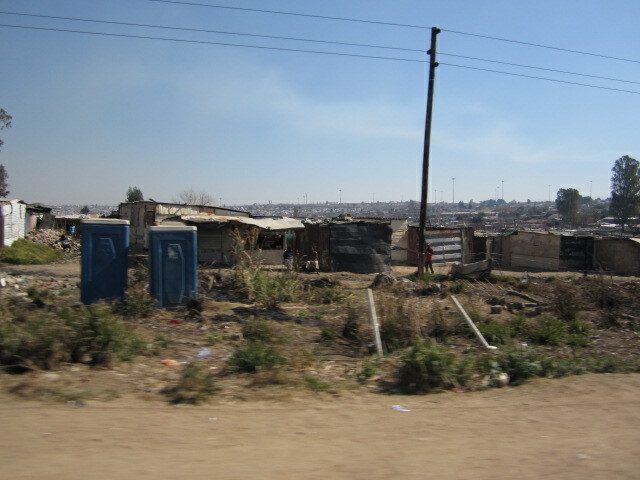 Johannesburg, July 2012. Taylor Kaplan and her dad Dr. Dave. 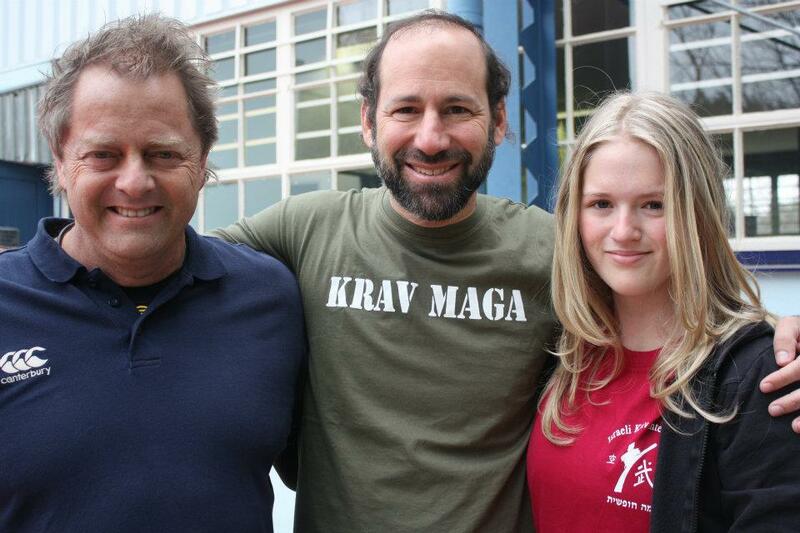 Wonderful to see a father and daughter training together in Krav Maga. 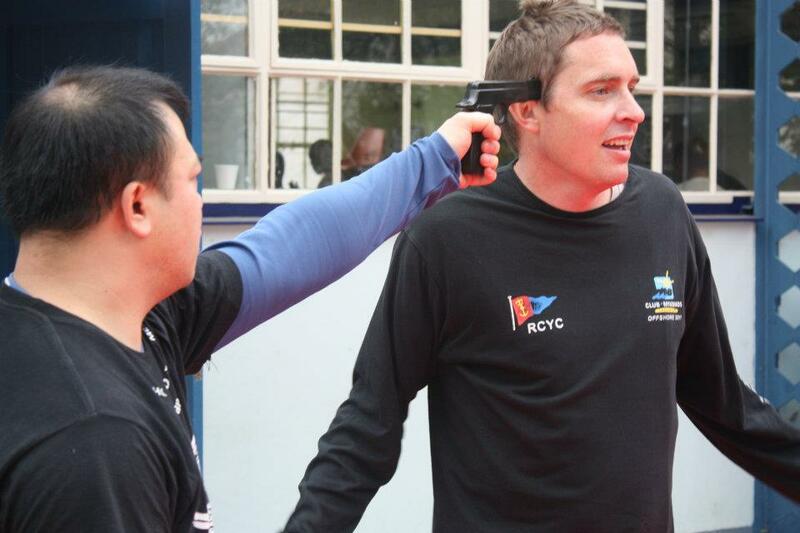 Do not worry, the gun is not real. Vincent and Grant. Both attended last years' seminar as well. Grant was in Israel for Tour and Train. Both were promoted to new ranks. 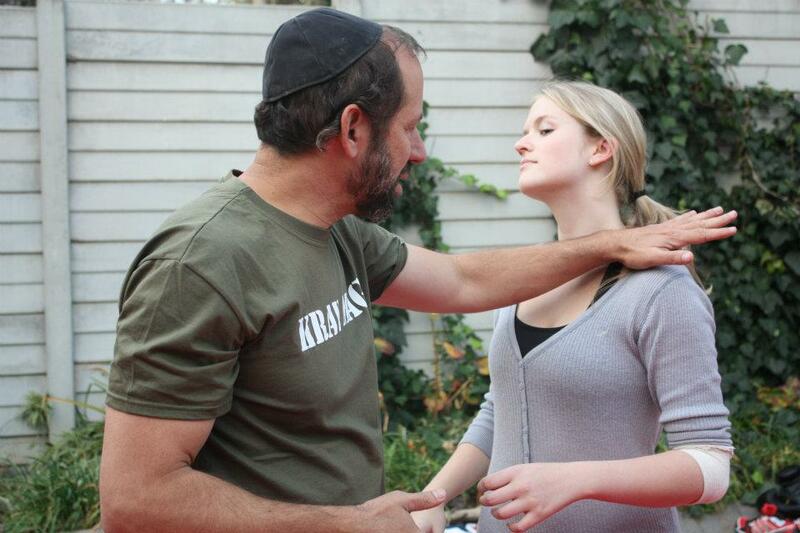 Students observing Moshe Katz teaching new Krav Maga techniques. 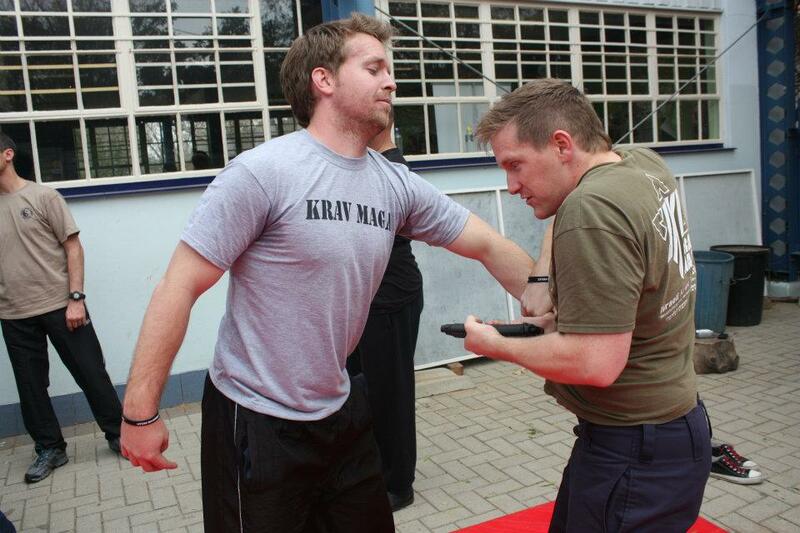 Bradley Mills, promoted to IKI Apprentice instructor, doing a gun disarm with his brother Kyle. Anthony and Gavin, a couple of our Big Boys. Moshe Training with Taylor, no one got hurt. 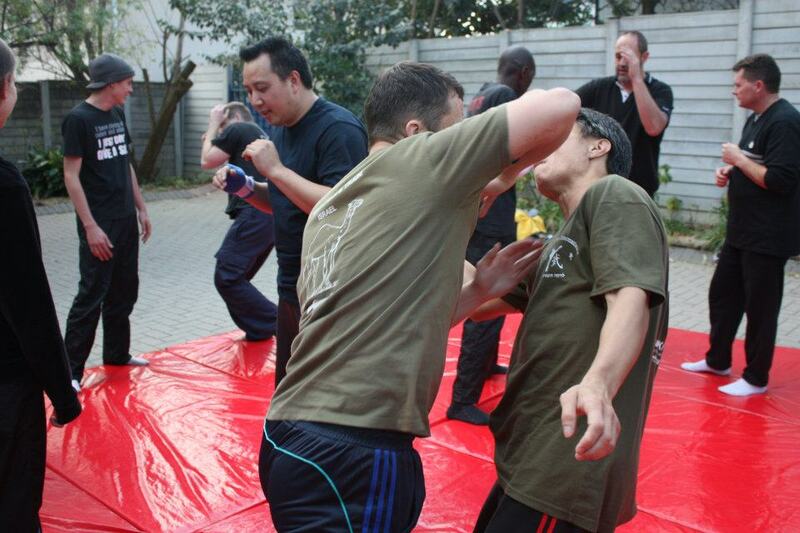 Michael Fat, promoted to Blue and Apprentice Instructor, is already teaching successful Krav Maga class in Johannesburg. Tyler Collins, after close to twenty years in martial arts, is promoted to IKI Krav Maga Black Belt and Level Two instructor. Dr. Dave, Moshe Katz, Tayla. Moshe Katz with Alan Mann's regular Thursday night class. On my day off my hosts sponsored a trip to see the Bush Monkeys sanctuary. On the way to the monkey sanctuary we see how some of the locals live.